Physiotherapy is the passion to create movement with the mind, with the body … and fundamentally with the HEART. We have all our professionals qualified and backed by their experience, specializing in the treatment of traumatological pathologies and sports as well as geriatric, pain treatments, recovery of mobility and functionality of the patient. In our clinic DR.PHYSIO we carry out the demand for the highest standard of quality in treatments. We also have new techniques of back treatments with osteopathic approach carried out by our team of highly qualified professionals. Our Treatments are personalized with a schedule of personalized treatments and individualized sessions adapted to the needs of each patient. Treatment of muscular and articular pain. Treatment of the temporomandibular joint (TMJ). 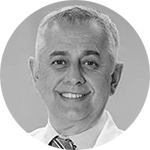 Dr. Fisio Clinic also has the collaboration of Doctor José María Villalón (General Director of the medical services of the Atlético Madrid Football Club); one of the most prestigious specialists in sports medicine in our country.